HELLO! My name is Anner. Meet Anner! He lives on the island of Roatan, Honduras with his family. Anner is a kind-hearted, sweet-natured second grader. His first language is Spanish, but he’s very quickly picking up English. He can usually learn a new word after practicing just a few times! Anner enjoys reading, science and likes giving high-fives after completing his reading assignments. Anner has matured so much since first grade. His parents are both very involved and serve however they can. We are excited to have Anner and his family at school and are grateful for the opportunity to pour into their lives! A loving sponsor would help encourage Anner to continue working hard and stay in school. Would you consider investing in his life through sponsorship? 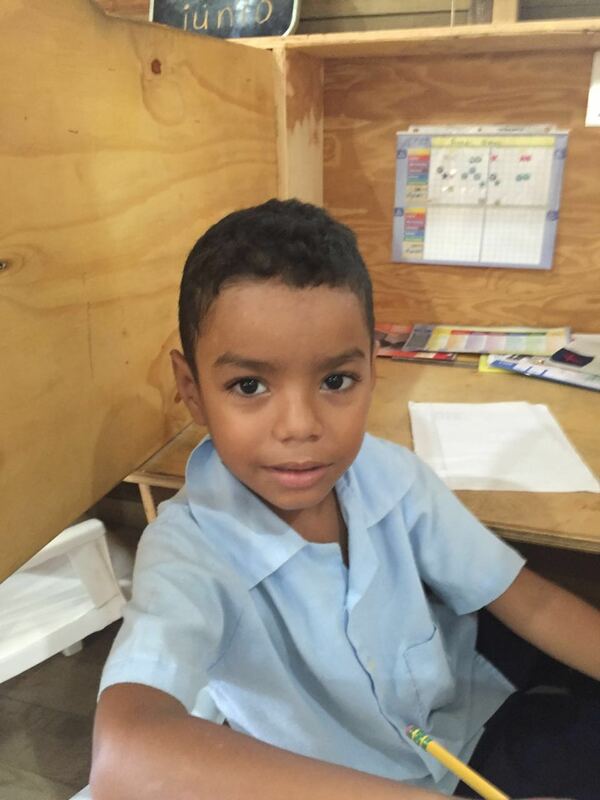 $34.00 per month provides a weekly backpack, keeps him in school plus a hot lunch.